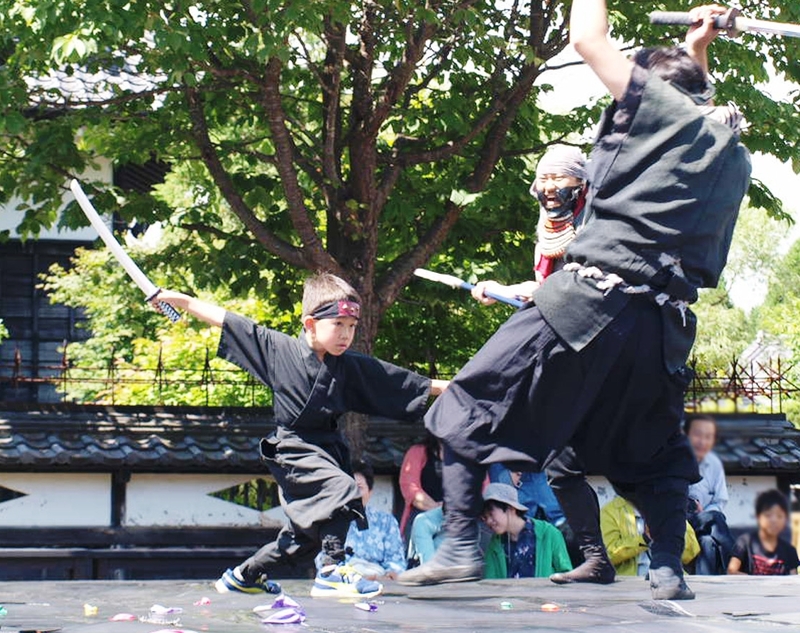 This is a ninja lesson for children of elementary school age or younger. Ninja teachers will choose challengers by lottery and submit some tasks such as throwing Shuriken (ninja star). Accomplish them and get a present from ninjas! Free　*There is a separate admission fee for the park. This program may be altered to “Throwing Shuriken Experience” in a rainy or windy weather. Rental ninja costumes are available at “Utsuroi-Kan.” Click here for details. The event content is subject to change or the event is subject to cancel due to circumstances. 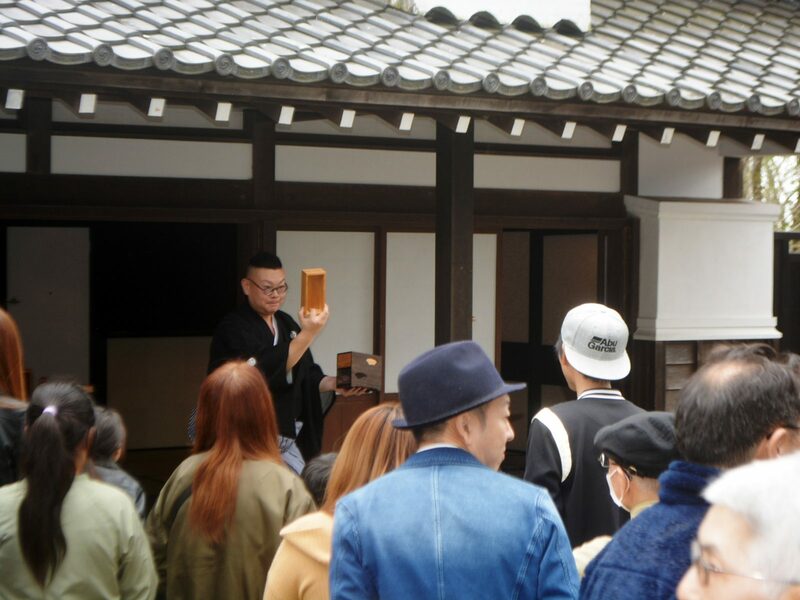 In the Edo period, various street performers used to be active around the town. We specially allow some today’s performers to show their skill on the streets in our park to recreate the atmosphere in those days. When and what do they perform? It is going to be a surprise! *There is a separate admission fee for the park. Juggler, Japanese drum player, traditional dancer etc. 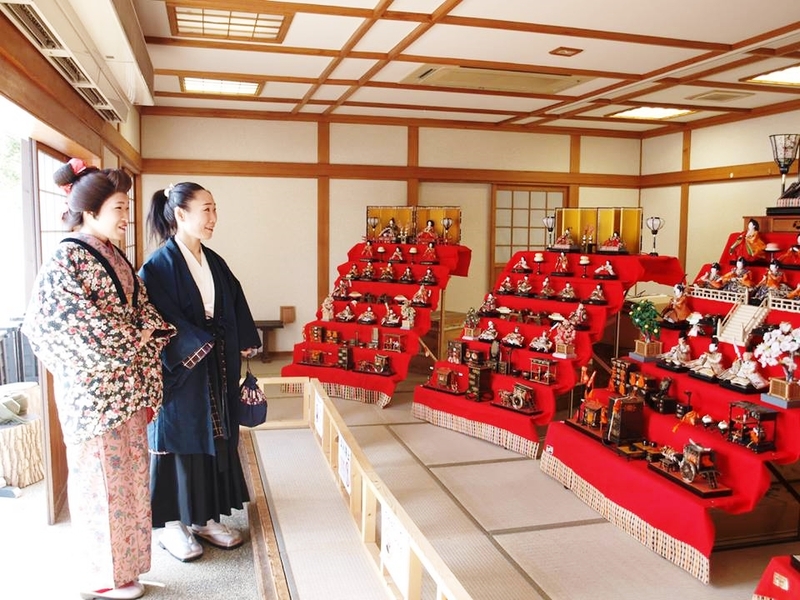 Let’s Take a Photo with Hina Dolls! Here we show you some deluxe “O-HINA-SAMA.” Would you like to take a photo with your favorite one? We offer the discount for rental costume that you can walk around in commemoration of the Samurai Show open. Rental costumes of "Samurai" and "Samurai's Daughter" for adults can be used at discount rates. 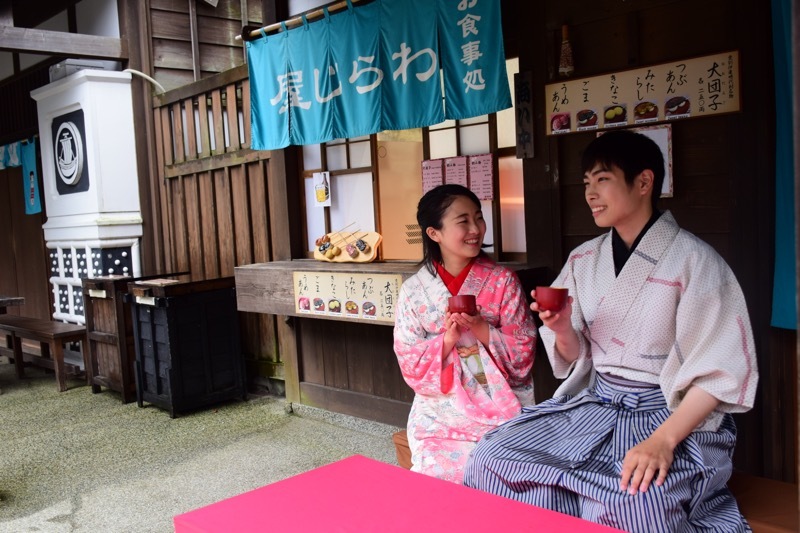 Please take this opportunity to transform your family and friends into villagers of Edo and enjoy the NOBORIBETU DATE JIDAIMURA in the autumn more and more! Samurai 1day/4,500 yen → 1,100 yen! Samurai's Daughter 1day/4,500 yen→ 2,500 yen! *The first 11 people will be accepted each day.